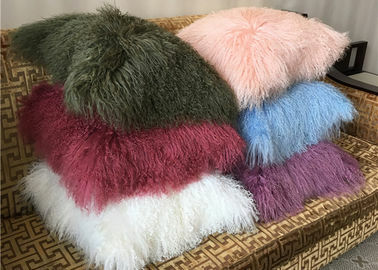 1)material:Specializing in selling of rabbit fur, rex rabbit fur, blue fox fur, red fox fur, silver fox fur, mink fur, raccoon fur, and all kinds of lamb fur, etc. 2)main products: fur skin, fur plates, fur collar/strips, fur (knitted) scarves and shawls, fur hats, fur headband, fur rug, fur blanket, fur cushion, fur accessories. 3)producting:Raw fur skins are bought from breeders and manufacture in our workshop. 4)Exporting: Most of our products are exported to Europe, North America and Russia. Warmly welcome to visit our factory. We will provide warm and thoughtful all-round service. Hope we can build mutual trust and win-win cooperation in the long term. 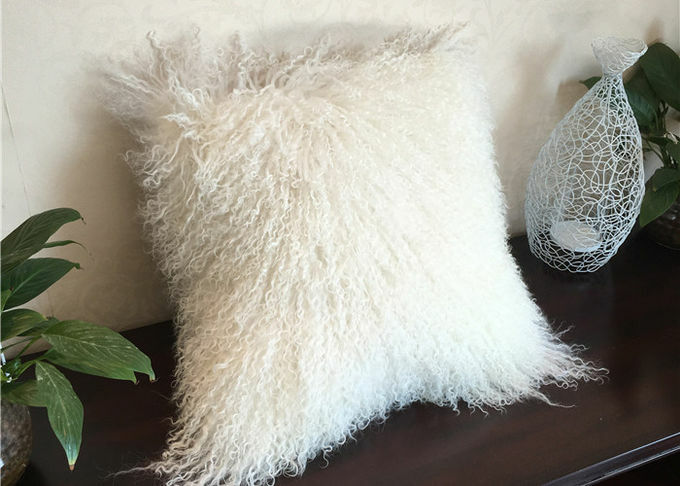 Exceptionally soft and dramatically gorgeous, our Mongolian Sheep Fur Pillow is the real thing, not faux. You can tell by the superb texture and natural fluffiness that’s it’s a 100% lambskin cover. It’s a bit of glamour for any space, with the fun pop of color serving as the unexpected twist. 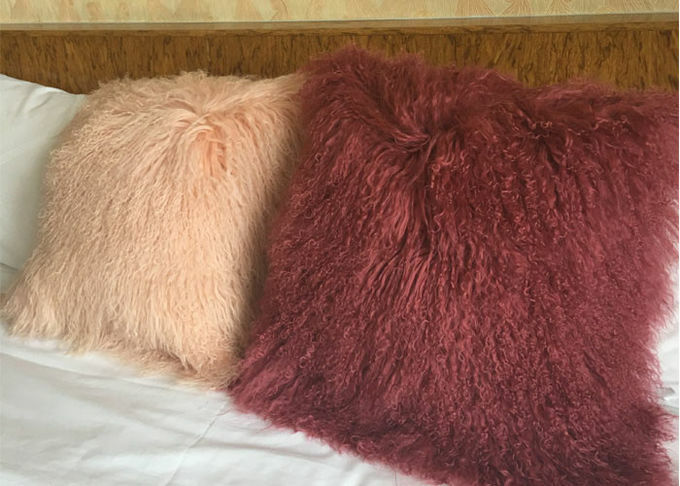 The pillow has a furry front, with a plain back in a matching solid hue. 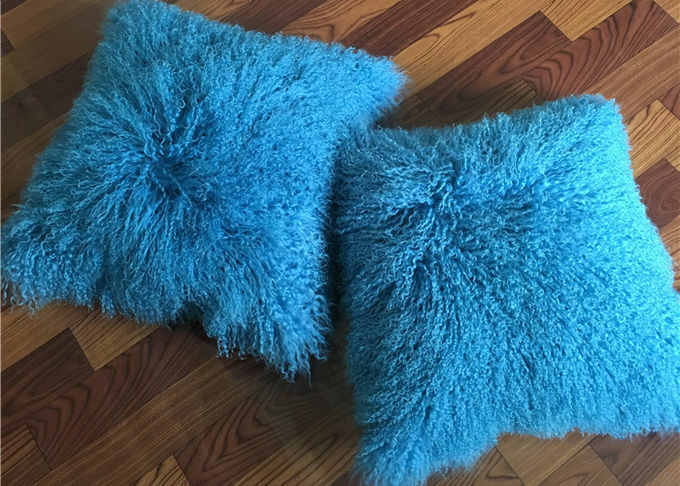 The feather fill adds extra comfort, and keeps this pillow looking plump, welcoming, and relaxed (not more stiffly filled) on sofas, chairs, or beds.